Pumpkins are awesome. They ring in the fall season with abandon and make even the dreariest autumn night brighter. This article highlights some of the best, cutest and scariest FREE pumpkin crochet patterns out there on the web. 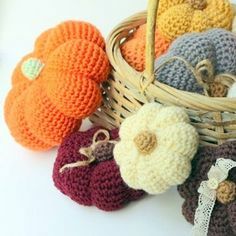 These crocheted lovelies are the perfect decorations or gifts for Halloween and Thanksgiving. Ánd they are cuddly to boot! 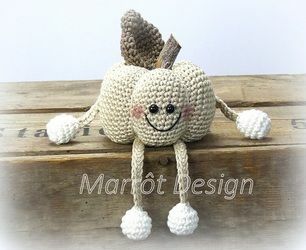 This little pumpkin looks very cute sitting on your mantle or shelf! The name “Kürby” stems from “Kürbis” – the German word for pumpkin. Make one or more to match the colors of your home! The pattern is in Dutch and includes instructions to use a piece of twig as the pumpkin’s stem. The pumpkin will be about 3.5 inches tall (6.3 inches if you include the legs). The pattern is very clear. The finished bear sits approximately 6.5 inches tall. If you like pumpkins ánd teddybears this is the pattern for you! 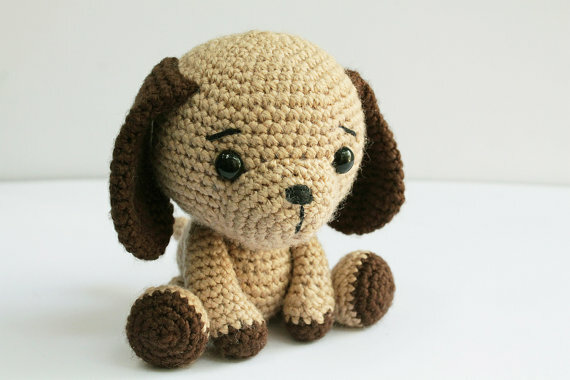 Make this cute little buddy as a fun and adorable decoration or toy. He will light up your home ánd give you big pumpkin bear cuddles! What more could you possibly want this fall season? This lovely pumpkin has been crocheted in a luxurious llama wool blend, which makes it looking (and probably feeling) so nice and fluffy. It makes a wonderful tradional pumpkin! The pattern is clear and straight forward. This project only uses the single crochet stitch, which makes it suitable for beginners! Such elegant pumpkins! These ornaments are truly centerpiece worthy and will wow your guests or recipients. However, making these hollow lacy pumpkins is not for the faint-of-heart crocheters and will test your ultimate crafting skills to the limit! 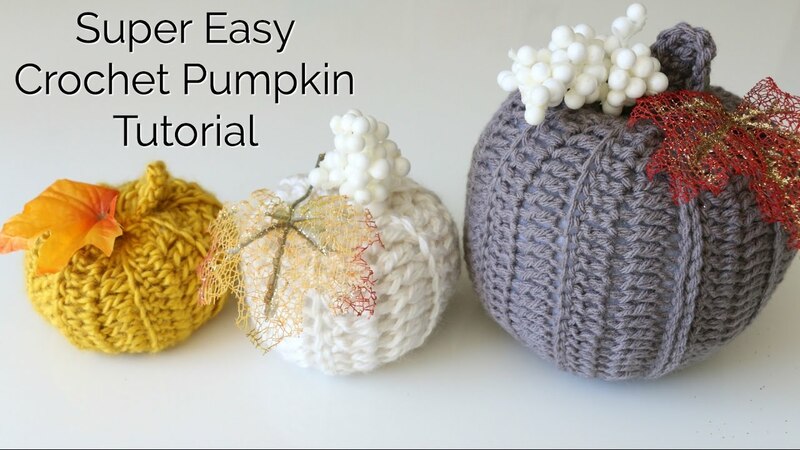 The pattern includes instructions for three pumpkin sizes: 3, 5 and 7 inches. It also explains how to shape the finished pumpkins using a balloon andwhite adhesive. These little pumpkins are the perfect addition to your Halloween, fall or Thanksgiving decor. The green curly vine is a nice decorative touch. The pattern is for two sizes of pumpkin: the larger one is about 5 inches tall, including the stem. The instructions are very clear and include photos for extra clearity. This pumpkin will hang on to your lollipops like there is no tomorrow! And he’s so cute, you will probably just let him keep it! Make one for all your favorite Halloween guests and other lollipop-fans! Looking for something a little bit different? 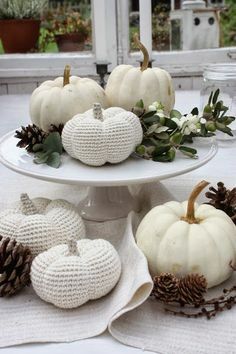 Try these stylish doily pumpkins! The effect is extra striking because of the color contrast between yarn and filling. This effect can be achieved by putting the filling in different colors of fabric scraps or tulle. The pattern is very clear and includes graphs for extra instruction. These cuties are crocheted as a cover for a solar lamp. When it is lit up, it will be the perfect Halloween decoration for your yard. Or for Thanksgiving or fall if you don’t put the face on it. The pattern includes instructions for different sizes of solar light. And check out the website for more awesome ideas for crocheted solar light covers! Here’s a pattern for a very sweet little pumpkin. Even though it is small, it will brighten up your Thanksgiving and autumn home. It will soon become your favorite cuddly orange ornament! The pattern is simple and works up very quickly. So make loads and loads and loads! Why stick with just orange when making pumpkins? These cute little pumpkins show that the color combination possibilities are endless! Make them in your favorite colors, sparkly gold or fluorescent pink, or maybe just to fit your home decorations! The pattern is clear, works up quickly and includes pictures for extra instruction. This year there is no need to go out and buy those expensive pumpkins! Just make your own: they’re fun to look at ánd you can snuggle with them on the couch! 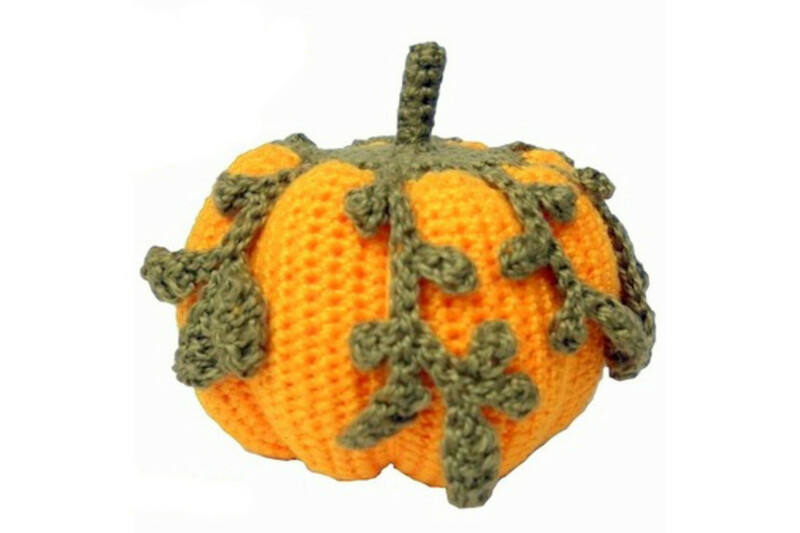 This cute little model pumpkin works up quickly, so fill your home with cuddly yarn pumpkins! The pattern is very clear, works up quickly and includes photos for extra instructions. 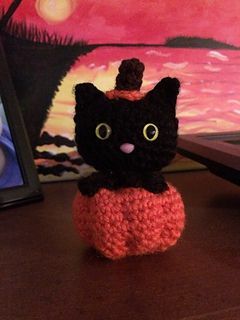 Ronnie the Halloween cat is very cute and combines two of my favorite Halloweeny things: black cats and pumpkins. (and for the very observant: spiders!). Ronnie is a quick project that you will work up in no time! 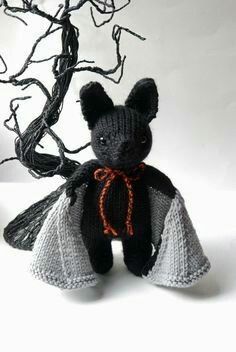 The pattern for this sweet little Halloween cutie can be downloaded from the Lovecrochet website after free registration. 13 – For The Love Of Pumpkins! What is better than one pumpkin? Exactly: two pumpkins! Or even better than that: a whole decorative basket filled with them! Make them in all your favorite colors and enjoy their loveliness all through the Halloween, fall and Thanksgiving season! 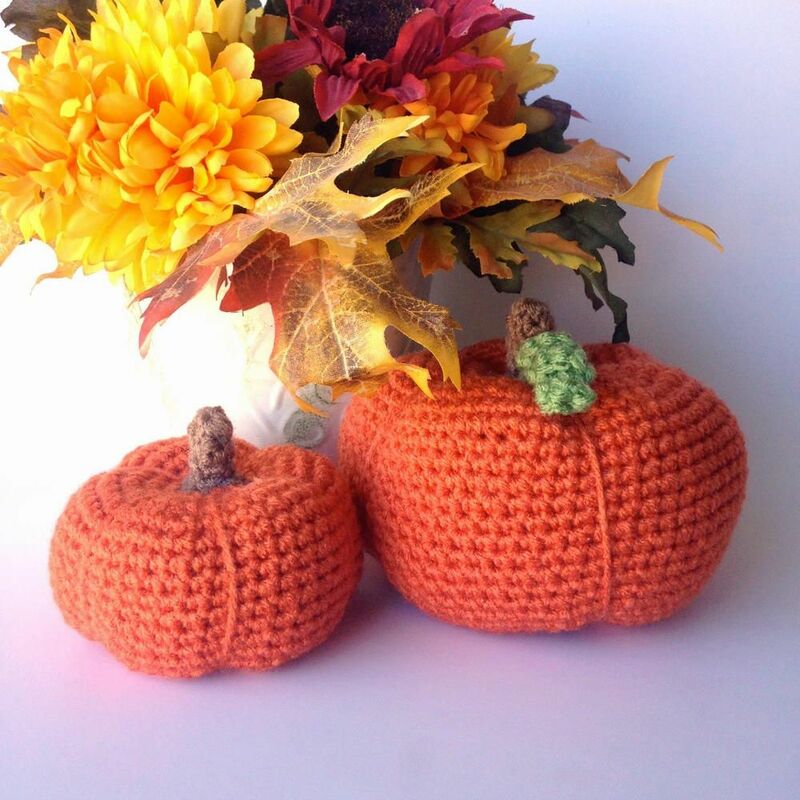 The pattern is very clear and has instructions for three lovely sizes of pumpkin: itty bitty, medium and large! These Tawashi pumpkins are truly Jumbo sized! They rival their carved cousins! Originally made as a smaller peach scrubbie, the pumpkin version has grown up! It is a very unique and decorative item and will fit perfectly in your home decor! 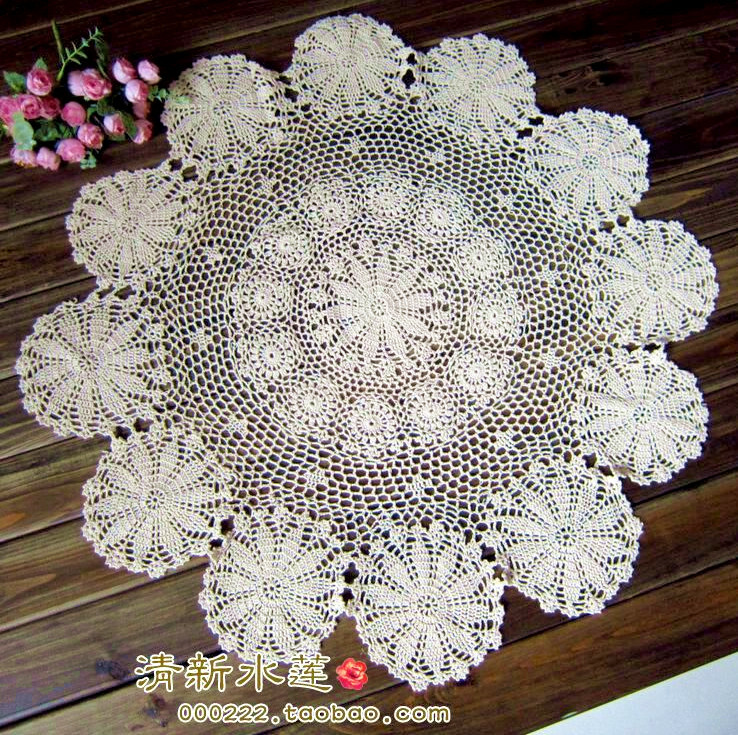 The pattern can be downloaded after free registration. It is very clear and contains pictures for extra instruction. And now for some true pumpkin cuteness overload! How adorable are these pumpkins (and how cute is the bear)? After making them you will not be able to take your eyes of them until it’s ready to decorate for Christmas! The pattern is in Spanish, but with Google Translate this does not have to be a problem, especially not for the more experienced crocheter. This pumpkin is a little different! First of all it has more ridges that have been crocheted in the fabric. And, secondly, these ridges have been accentuated with a different yarn color. I love the effect! The pattern is in Dutch, so hit that Google Translate button! 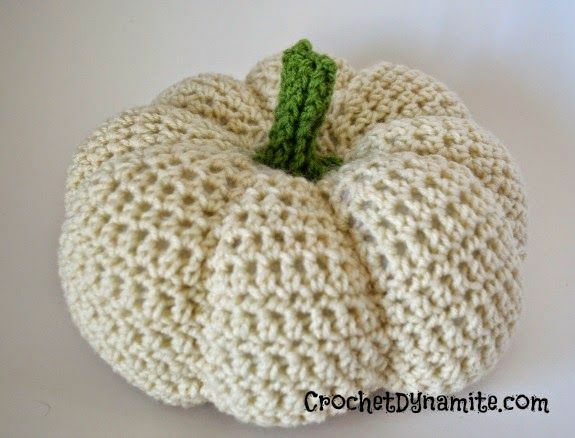 The pumpkin is not crocheted in rounds, but sewn together from a straight piece of crocheted fabric. This makes this pattern not only very suitable for beginners, but also very easy to adapt to make different sizes! These cute little pumpkins are a bit rounder and without the traditional ridges. They are very sweet and will bring fall, Halloween and Thanksgiving right into your home. The pattern is very clear and contains lots of photos and video instructions for the special stitches. Adjust the colors to make them into apples for a nice tasty crochet fruit snack! This pumpkin will really pop in your home decor. The vines are truly spectacular! There is just something about the orange-green color combination that really makes you think of fall. 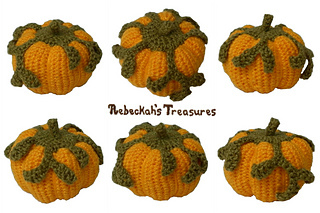 Now you can fill your own crocheted pumpkin patch with these lovely creations! The pattern is very clear and has pictures for extra instructions. Take a close look at these classic looking pumpkins! These beauties are not crocheted with the traditional single crochet stitch, but with a combination of half double crochet and puff stitches. This combination of stitches adds a lovely structure to the final puffy pumpkin result! The pattern is clear and includes instructions for three sizes of puffy pumpkins: two types of mini pumpkins (3 inches tall) and one big pumpkin (6 inches tall). Here’s another classic pumpkin pattern. This one will produce stylish flat pumpkins that will beautifully decorate your home. They also make great gifts, so make one for all your family members and friends! And don’t forget to make a whole pumpkin patch for your Thanksgiving table! The pattern is in Dutch, but easily navigated using Google Translate. The pattern (complete with teeth!) is clear and has lots of pictures for extra instructions. This one is specifically for Halloween! There are a lot of pumpkin patterns out there, but only véry few scary ones! This pattern was inspired by a carved pumpkin. And even in cuddly yarn it can still scare the pants of you!